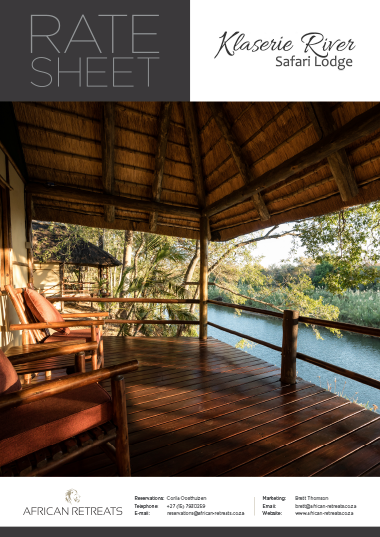 Klaserie River Safari Lodge provides a tranquil riverfront retreat in between a variety of activities and adventures arranged according to expertly sewn-together itineraries in South Africa's sought after Lowveld region. 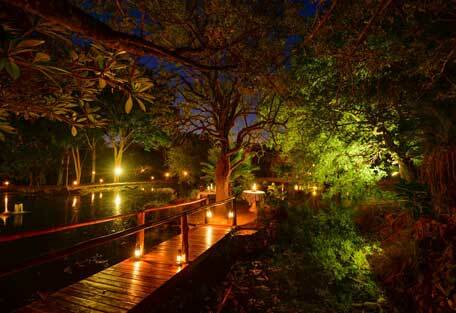 Klaserie River Safari Lodge is named purely for its idyllic location along the banks of the river. The prestigious positioning of guest rooms provides a tranquil retreat in between a variety of activities and adventures arranged according to expertly sewn-together itineraries. 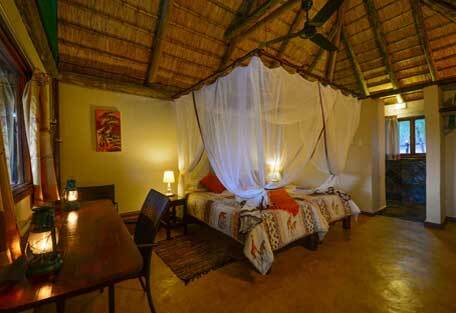 There are two main areas to the lodge: Top Lodge and River Camp. Roughly a 5-minute bush walk apart, each area has a swimming pool, dining area, kitchen, and bar. 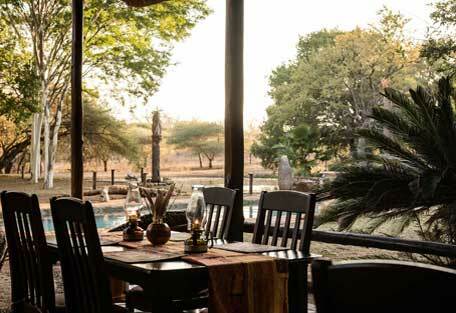 Top Lodge has an expansive verandah overlooking a waterhole, and is a scenic and sunny spot for breakfast or lunch. 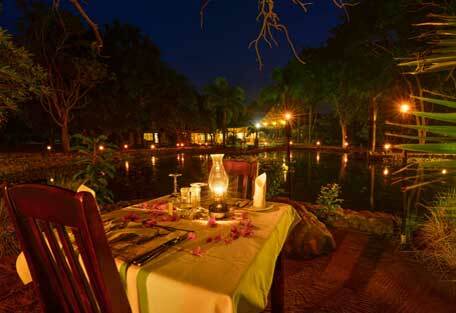 River Camp has a boma, ideal for dinner under the stars, accompanied by the sounds of the river. 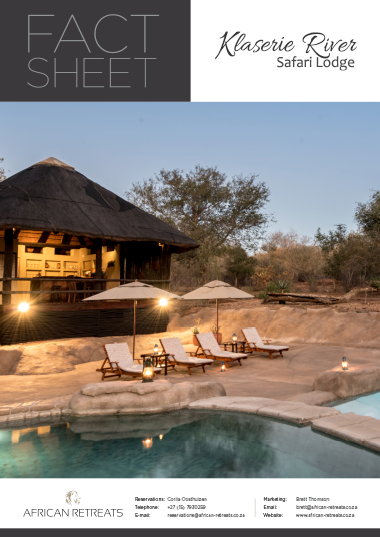 The lodge itself is located in a fenced property but built on the banks of the Klaserie River, a variety of general game species can be found roaming the grounds, however big five game drives are conducted across the road in the Thornybush Reserve which is open to the Kruger National Park. 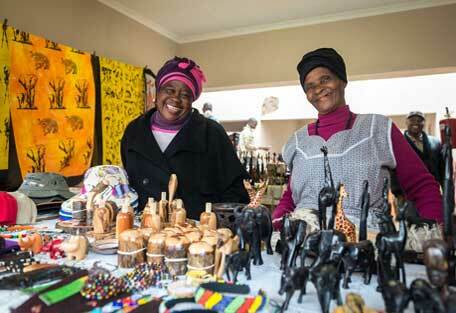 Day trips can also be arranged prior to arrival or from the lodge depending on availability. 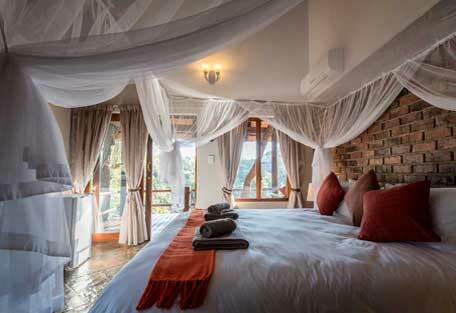 All chalets have en suite bathrooms (shower, toilet, basins), air-conditioning, wooden viewing decks with tables and chairs, coffee facilities, mini bar fridge and snack menu, ceiling fans, and mosquito nets. 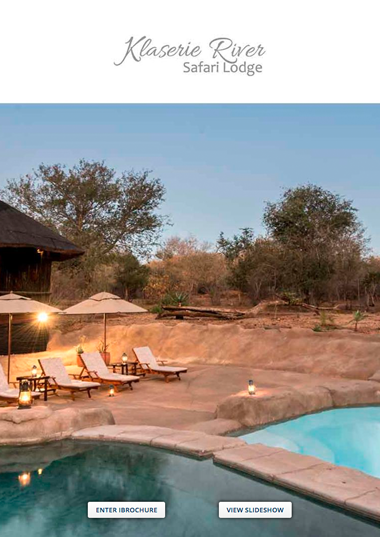 Klaserie River Safari Lodge is located in the Thornybush region of the Greater Kruger Park area, surrounded by revered Big 5 game reserves bordering the Kruger Park. 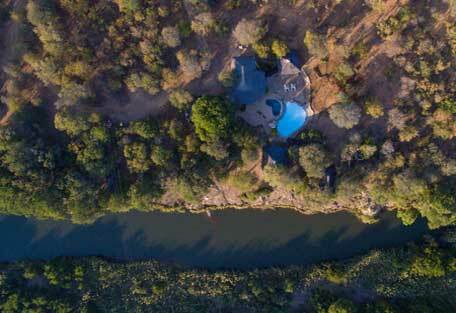 In a private reserve opposite the gate to the Thornybush Game Reserve, Klaserie River Safari Lodge occupies a plot on the banks of the Klaserie River. 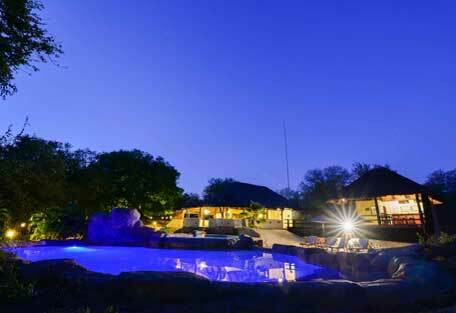 This prestigious location is in the middle of the popular Greater Kruger safari hub of South Africa. 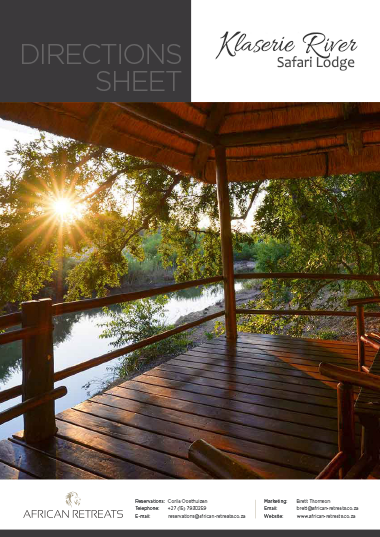 The town of Hoedspruit is only 26km away and the local Eastgate Airport is only 16km away, making the lodge very easily accessible to fly-in guests, while the road journey to Johannesburg is a scenic 5-hour drive. Exit Hoedspruit on the R40 in a southerly direction (towards White River). About 6km out of town, turn left at a sign for Eastgate Airport. Pass through control gates and continue straight down the tar road. You will pass Eastgate Airport on your left – continue straight for 16km until you turn right onto the Guernsey Road. Continue on the Guernsey Road for 10km until you see the gates to Klaserie River Safari Lodge on the right (sign appears 100m before the gate). Take the N4 highway to Witbank and continue past Middleburg, Belfast and Machadadorp. Follow the Schoemanskloof option on the N4 and then take the R36 to Lydenburg. Follow the R36 to Ohrigstad, through Strydom Tunnel and take the R527 to Hoedspruit. At the T-Junction, turn right onto the R40 towards Klaserie, and continue 6km until the turnoff (left) for Eastgate Airport. Turn here and continue until you pass the airport on the left – continue straight for 16km until you turn right onto the Guernsey Road. Continue for 10km until you see the gates to Klaserie River Safari Lodge on the right (sign appears 100m before the gate).